Historic Fortified City of Carcassonne and Eglise Saint-Nazaire will appeal to history buffs. You'll explore the less-touristy side of things at La cité médiévale and Jeff de Bruges Carcassonne. Explore the numerous day-trip ideas around Carcassonne Center: River Rafting & Tubing (in Axat) and Chateau de Puilaurens (in Lapradelle-Puilaurens). There's still lots to do: step into the grandiose world of Cité de Carcassonne and steep yourself in history at Memorial House (Maison des Memoires). 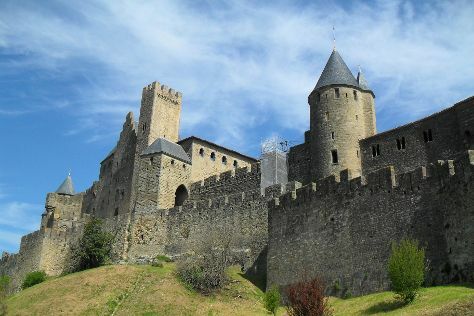 For other places to visit, more things to do, ratings, and other tourist information, use the Carcassonne Center trip planner . Phoenix, USA to Carcassonne Center is an approximately 19-hour combination of flight and train. You can also do a combination of bus, flight, and train. The time zone changes from Mountain Standard Time (MST) to Central European Time (CET), which is usually an 8 hour difference. Traveling from Phoenix in July, things will get much colder in Carcassonne Center: highs are around 83°F and lows about 63°F. 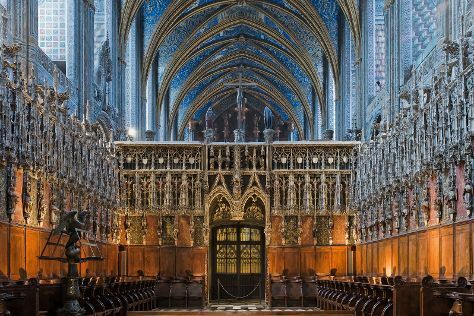 Finish your sightseeing early on the 30th (Tue) so you can drive to Albi. Albi is a commune in southern France. Let the collections at Musee Toulouse-Lautrec and Musee Soulages capture your imagination. Your cultural itinerary includes sights like Cathedrale Sainte-Cecile and Chateau Belcastel. Explore Albi's surroundings by going to Forteresse de Najac (in Najac), Cathedrale Notre Dame de Rodez (in Rodez) and St-Pierre-Toirac Church (in Saint-Pierre-Toirac). There's still lots to do: step into the grandiose world of Chateau de Cenevieres and contemplate in the serene atmosphere at Cloitre de la Collegiale Saint Salvy. To see photos, reviews, ratings, and other tourist information, refer to the Albi attractions planner . Getting from Carcassonne Center to Albi by car takes about 2 hours. Other options: take a train; or take a bus. July in Albi sees daily highs of 81°F and lows of 62°F at night. Wrap up your sightseeing on the 2nd (Fri) early enough to drive to Sarlat-la-Caneda. 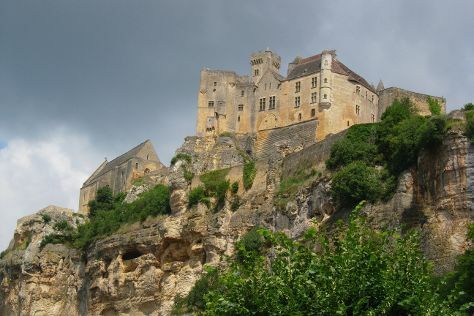 Visit Chateau des Milandes and Chateau de Beynac for their historical value. Get some cultural insight at Chateau de Castelnaud and Roc de Cazelle. Explore Sarlat-la-Caneda's surroundings by going to Les Gourmandises de Lucco (in Bezenac), Kayaking & Canoeing (in Les Eyzies-de-Tayac-Sireuil) and Rocamadour (Basilique St-Sauveur & Cite Religieuse). The adventure continues: stroll through Lac de Lougratte, admire the natural beauty at Les Jardins de Marqueyssac, step into the grandiose world of The Maison Forte de Reignac, and steep yourself in history at Chateau de Commarque. For traveler tips, more things to do, photos, and more tourist information, read our Sarlat-la-Caneda day trip planner . Getting from Albi to Sarlat-la-Caneda by car takes about 2.5 hours. Other options: do a combination of bus and train; or take a train. Expect a daytime high around 82°F in August, and nighttime lows around 55°F. Wrap up your sightseeing on the 7th (Wed) early enough to drive to La Rochelle. Get a sense of the local culture at Le phare de chassiron and Association Hermione-La Fayette. Popular historic sites such as Phare des Baleines and Fort Louvois are in your itinerary. Venture out of the city with trips to La Tremblade (Phare de la Coubre & Plage de la Pointe Espagnole), Zoo de La Palmyre (in La Palmyre-Les Mathes) and Clocher Observatoire (in Saint Martin de Re). There's more to do: contemplate the waterfront views at Vieux Port and pause for some serene contemplation at Eglise Sainte-Radegonde de Talmont. To see where to stay, ratings, maps, and other tourist information, refer to the La Rochelle attractions planner . Getting from Sarlat-la-Caneda to La Rochelle by car takes about 4 hours. Other options: take a train; or do a combination of train and bus. Traveling from Sarlat-la-Caneda in August, you will find days in La Rochelle are little chillier (75°F), and nights are about the same (60°F). Finish your sightseeing early on the 11th (Sun) so you can travel to Calvi. Calvi is a commune in the Haute-Corse department of France on the island of Corsica.It is the seat of the Canton of Calvi, which contains Calvi and one other commune, Lumio. Take a break from the city and head to Aregno Beach and Punta Spano. Your inner history buff will appreciate Citadelle de Calvi and Eglise de Sant'Antonino. Change things up with a short trip to Cirque de Bonifatu in Calenzana (about 32 minutes away). Next up on the itinerary: see some colorful creatures with a scuba or snorkeling tour, identify plant and animal life at Nature Reserve of Scandola, and enjoy the sand and surf at Arinella and Algaio Beach. 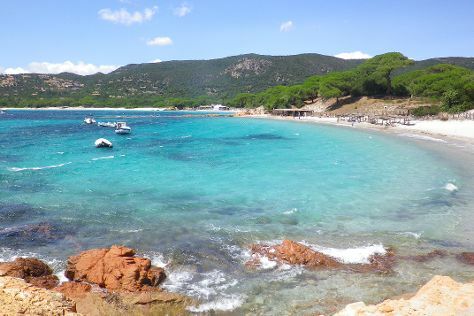 To see where to stay, maps, and tourist information, go to the Calvi trip planner . You can fly from La Rochelle to Calvi in 5.5 hours. Other options are to do a combination of train and flight; or do a combination of train, flight, and bus. Expect a bit warmer temperatures when traveling from La Rochelle in August; daily highs in Calvi reach 85°F and lows reach 67°F. Wrap up your sightseeing on the 14th (Wed) to allow time to drive to Porto-Vecchio. Porto-Vecchio is a commune in the Corse-du-Sud department of France on the island of Corsica. Get some historical perspective at Bonifacio Citadel and Eglise de Saint Jean Baptiste. You'll discover tucked-away gems like Plage Porto Novo and Grottes de Bonifacio. Change things up with these side-trips from Porto-Vecchio: Bonifacio (Escalier du Roi d'Aragon (King Aragon Steps), Iles Lavezzi, & more). The adventure continues: tour the pleasant surroundings at Tamaricciu Beach, kick back and relax at Plage de Tramulimacchia, and zoom along the surf with a waterskiing or jet-skiing adventure. To find ratings, traveler tips, maps, and more tourist information, use the Porto-Vecchio trip itinerary maker app . Traveling by car from Calvi to Porto-Vecchio takes 3.5 hours. Alternatively, you can take a bus; or do a combination of train and bus. In August, daytime highs in Porto-Vecchio are 88°F, while nighttime lows are 66°F. Wrap up your sightseeing on the 19th (Mon) early enough to travel to Arles. Start off your visit on the 20th (Tue): pause for some serene contemplation at Eglise Notre-Dame de Bon Voyage, take a stroll through Le Suquet, and then shop like a local with Rue d'Antibes. Get ready for a full day of sightseeing on the next day: observe the fascinating underwater world at Marineland and then don't miss a visit to Le Nomade. To see traveler tips, reviews, photos, and tourist information, go to the Antibes day trip planning tool . You can fly from Porto-Vecchio to Antibes in 4.5 hours. Other options are to do a combination of bus and flight; or do a combination of bus and ferry. Expect little chillier weather when traveling from Porto-Vecchio in August: highs in Antibes hover around 81°F, while lows dip to 71°F. Wrap up your sightseeing on the 21st (Wed) early enough to drive to Arles. 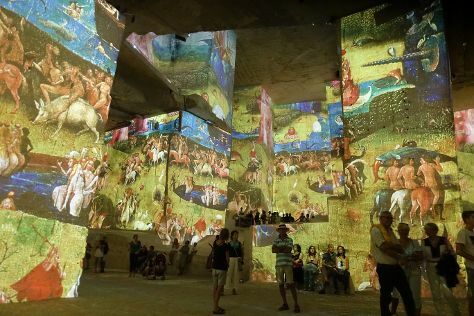 On the 22nd (Thu), admire the masterpieces at Carrieres des Lumieres, step into the grandiose world of Chateau des Baux de Provence, then explore the historical opulence of Chateau de Tarascon, then explore the ancient world of Amphitheatre (les Arenes), and finally take in the spiritual surroundings of Eglise St-Trophime. 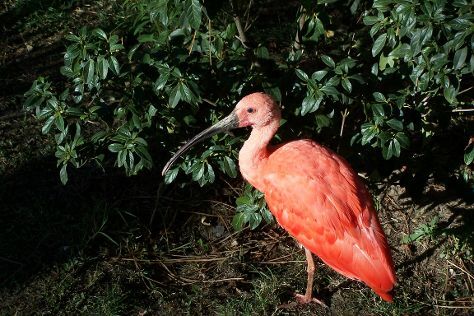 On your second day here, look for all kinds of wild species at Le Parc Ornithologique de Pont de Gau, step into the grandiose world of Tours et Remparts d'Aigues-Mortes, then delve into the distant past at La Maison Carree, and finally browse the eclectic array of goods at Les Halles. Plan a Arles trip in moments using our itinerary builder. You can drive from Antibes to Arles in 2.5 hours. Alternatively, you can take a train; or take a bus. 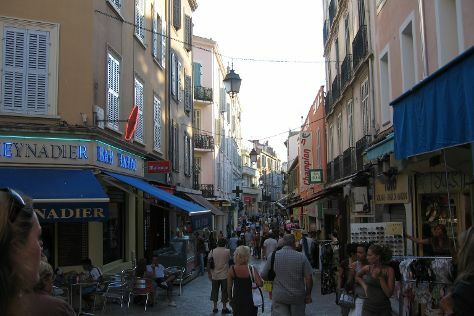 Expect slightly colder evenings in Arles when traveling from Antibes in August, with lows around 66°F. Finish your sightseeing early on the 23rd (Fri) so you can drive to Barcelona. Casa Batllo and Museo Picasso will appeal to museum buffs. Do your shopping at La Boqueria and MACBA- Museo de Arte Moderno de Barcelona. Explore the numerous day-trip ideas around Barcelona: Girona Cathedral (Catedral) (in Girona), Vila Vella (Old Town) (in Tossa de Mar) and Playa de la Pineda (in La Pineda). And it doesn't end there: walk around Parc Guell, take a stroll through El Barri Gòtic, delve into the distant past at Anfiteatro de Tarragona, and admire the landmark architecture of Basilica of the Sagrada Familia. For other places to visit, reviews, and other tourist information, refer to the Barcelona trip maker . You can drive from Arles to Barcelona in 4 hours. Other options are to do a combination of bus and flight; or take a train. In August, plan for daily highs up to 83°F, and evening lows to 71°F. Wrap up your sightseeing by early afternoon on the 28th (Wed) to allow enough time to travel back home.